This snack is so super simple, delicious and healthy. If you use fat free feta, it should be under 40 calories per ounce and about 7 grams of protein. 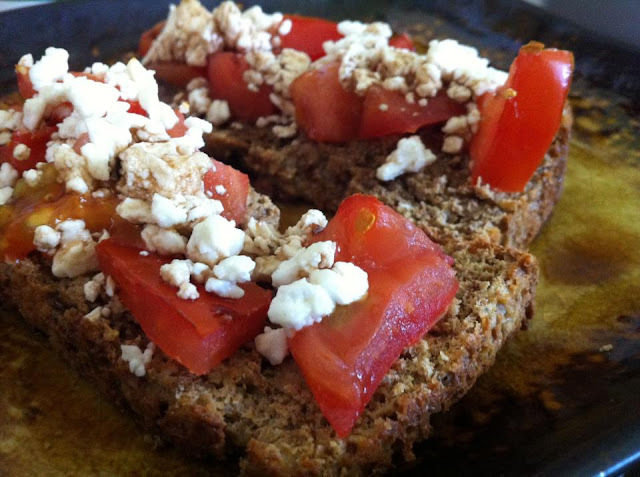 Pair that with protein bread, and you've got yourself a protein packed snack, loaded with fiber! This would also make a delicious Bruschetta Benedict!